This all new PROFORM billet electric big block Chrysler water pump features the durable PROFORM 12-volt motor, billet mounting plate for added strength, and pumps up to 35+ gallons of water per minute. Fits B, RB and Hemi engines. 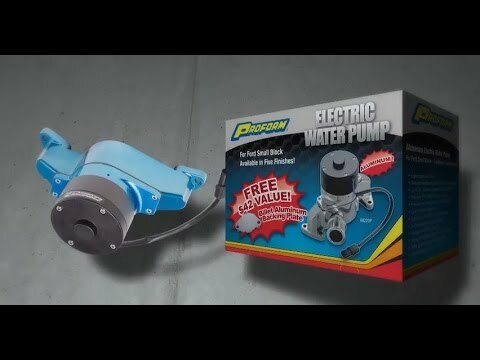 This all new PROFORM billet electric big block Chrysler water pump features the durable PROFORM 12-volt motor, billet mounting plate for added strength, and pumps up to 35+ gallons of water per minute.